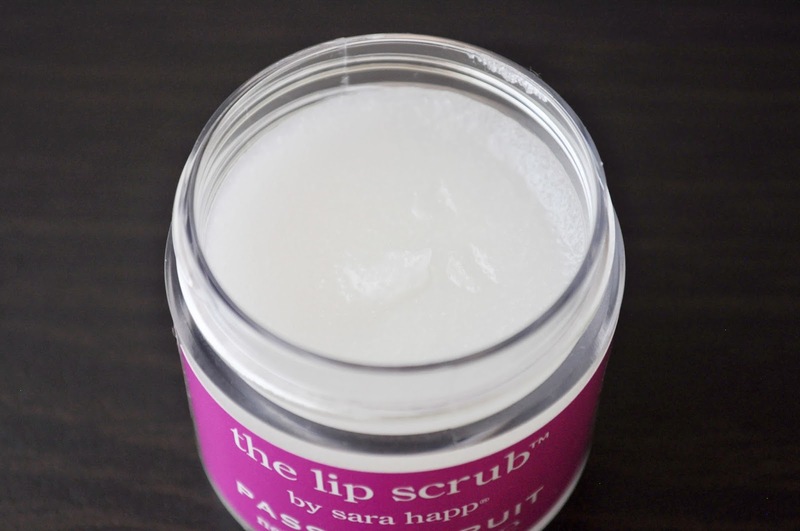 In dire need of a lip scrub (I haven't had the time to pick one up, and I've been wearing lots of liquid lipsticks, and now my lower lip is paying for it), I popped into Cosme Kitchen to purchase Sara Happs' Peppermint lip scrub. Sadly, they were out and, although I'm not a fan of the fruit, I got Passion Fruit because it was the most Summery scent/flavor among the lot. After using Passion Fruit, I actually like its fruity tropical scent/flavor, It helps make the season a little more bearable (for an entire 10 seconds anyway).